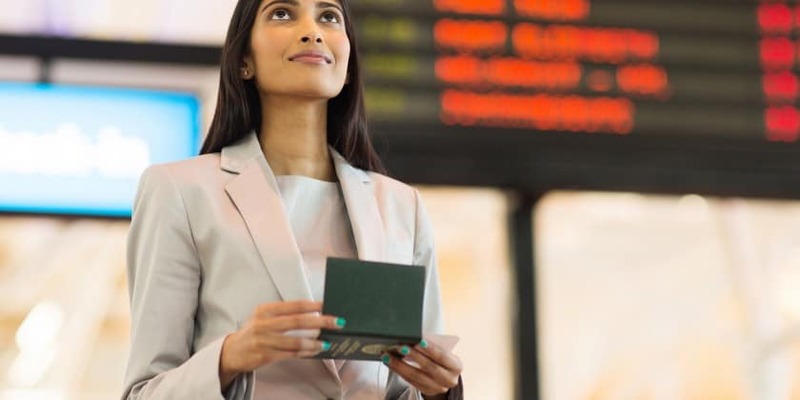 Passenger satisfaction is higher during the airline journey when self-service technologies are used, particularly at bag tag and collection, and passport checkpoints. This is according to the 2017 SITA Passenger IT Trends Survey, a global survey released recently by IT provider SITA and co-sponsored by Air Transport World. The survey shows that passengers rate their journey very highly with an overall satisfaction rate of 8.2 of out 10 but this is boosted even further when technologies such as mobile services and biometrics are used. SITA’s survey shows that technology, such as biometrics, can support security while offering a better passenger experience. Automated identity checks at passport control and boarding increases passenger satisfaction. A total of 37% of travelers surveyed by SITA used automated ID control on their last flight. Of these, 55% said they had used biometrics at departure security, 33% for boarding and 12% for international arrivals. Looking forward, 57% of passengers said they would use biometrics for their next trip. Passengers who use biometrics are highly satisfied. In fact, they rated the experience 8.4, well above the ratings for face-to-face transactions at passport check (8) and boarding (8.2), demonstrating passenger acceptance of this secure technology to deliver a seamless journey. Baggage collection is another area where technology is improving the passenger experience. On their last flight, more than half (58%) of passengers who checked in bags received real-time bag-collection information upon arrival. These passengers were happier than those who did not receive any information, rating their experience 8.4 out 10. Passengers are even more satisfied when they receive the information to their mobile devices. SITA’s survey shows that this bumped up satisfaction levels by an extra 10%. The use of this technology increased satisfaction to a rating of 8.4 out of 10. Nearly half (47%) of all passengers took advantage of a self-service tagging option on their most recent trip, which is a healthy increase from 31% in 2016. As more self-bag tag options are made available we can expect passenger satisfaction at this point of the journey to increase. This is the 12th edition of the SITA/ATW Passenger IT Trends Survey. It was conducted with more than 7,000 passengers from 17 countries across the Americas, Asia, Europe, the Middle East and Africa representing almost three-quarters of global passenger traffic. 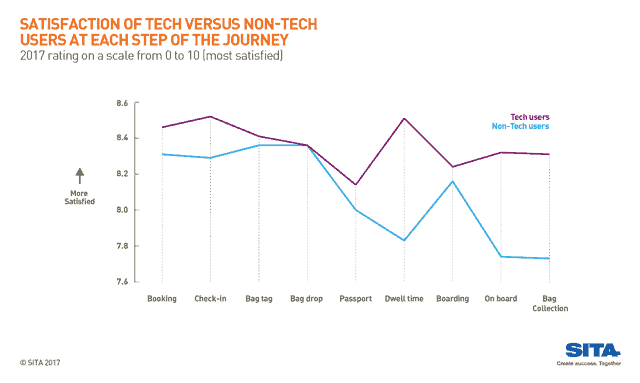 Tech-services improve passenger satisfaction @airports 0 out of 5 based on 0 ratings. 0 user reviews.